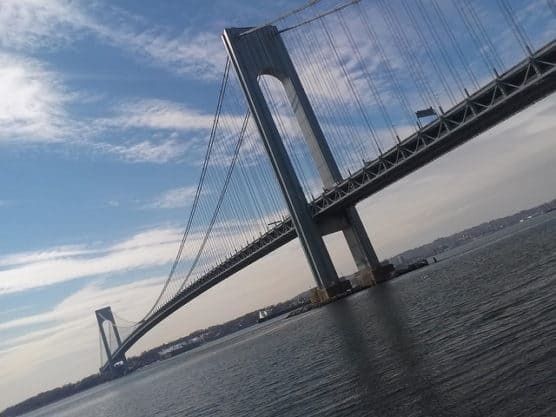 Set for its 7th annual running along the Shore Road Promenade that looks out onto the waters of New York’s Upper Bay from Brooklyn’s Bay Ridge neighborhood, the Bay Ridge Half Marathon takes runners on a double-loop out-and-back course that’s fast and flat for the entire route. Considered an excellent course for setting a personal record (PR) time as well as a great race to tune up for the New York City Marathon that takes place just a month later, the race starts and finishes at the 69th Street Pier, near the intersection of Bay Ridge Avenue and Shore Parkway. From there, the race takes runners entirely along the promenade that runs alongside Belt Parkway, heading out from the starting line to a turnaround point about 3.25 miles in, just south of Dyker Beach Park. After you make the turn, you’ll head back along the Shore Road Promenade, all the way back to where you started, which will complete your first loop. Then, you’ll turn around again and run the same loop a second time, before coming back to the start to cross the finish line at the American Veterans Memorial Pier (also known as the 69th Street Pier). Thanks to its location along the water, you’ll get to take in spectacular views of New York icons like the Verrazano-Narrows Bridge, the towering skyscrapers of Lower Manhattan like the Freedom Tower, and the Statue of Liberty off in the distance. Nestled along the shoreline of New York’s Upper Bay, within view of the Brooklyn Bridge and Manhattan off in the distance, Brooklyn typically sees mild to occasionally very cool weather in October, which brings temperatures on average from the upper 40s to the low 60s, and drier weather than the months before and after. On race day (Oct. 5), the average low is 50ºF and the average high is 67ºF. See the race route map for the Bay Ridge Half Marathon here. To reserve your spot in the the 2019 running of Brooklyn’s Bay Ridge Half Marathon race, register online at Active.com here. Ever run in the Bay Ridge Half Marathon? Share your impressions here, as well as anything you learned about the race that you think other runners/walkers should know.